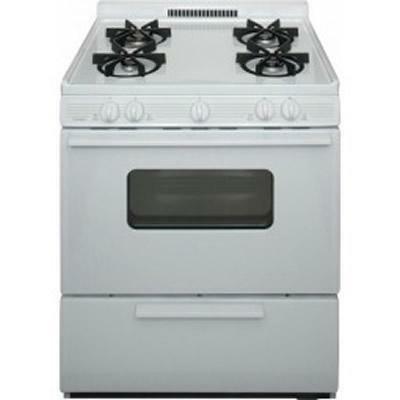 This standard-size gas range gives you all the fire-power you need for your home cooking and baking. The 4 lifetime warrantied cooktop burners deliver 6,000 to 15,00 BTUs of cooking power to suit an array of cooking styles, and are sealed to contain spills, simplifying cleanup. 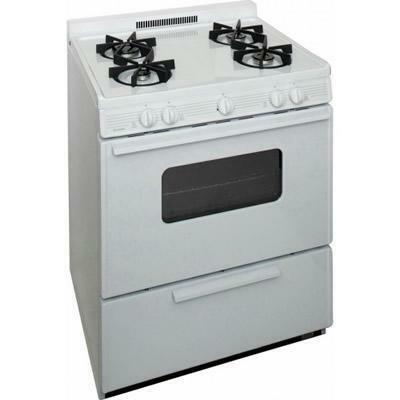 Additional Information 1.5" Porcelain Backguard; Battery Spark Ignition; Sealed Burners: One 15,000 BTU Power Burner, Two 9,100 High Efficiency and One 600-6,000 BTU Precise Simmer Burner. Burners/Elements Output 2 x 9100 BTU; 1 x 15000 BTU; 1 x 6000 BTU.